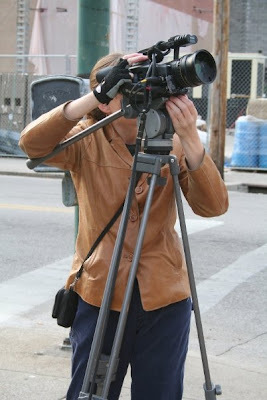 Viewfinder on CET will be highlighting two media projects currently in production in Cincinnati’s historic Over-the-Rhine. Over-the-Rhine: The Series is described as a “gritty crime drama,” and Rebirth of Over-the-Rhine is a documentary about the rebirth of the neighborhood and the people who live there. On tonight’s show at 7:30pm Viewfinder will have Joe Brinker (co-producer), Melissa Godoy (director) and Mike Jones (subject) from Rebirth of Over-the-Rhine to discuss the documentary. The show will also have Lee Zellners (producer/director), Kole Black (co-writer) and Brent Bridges (co-writer) from Over-the-Rhine: The Series. In addition to tonight’s 7:30pm show time, this episode of Viewfinder will be rebroadcast on Sunday, August 30 at 2pm.